Our prodigal son comes home...Interesting thoughts on the Harbor Towers, the Hancock, and One Dalton. Thanks for that, Beton. I'm glad to know that Cobb has lived a long life and is still very current with things. From the interview, I found this passage eloquent regarding what some of us feel when looking at the recent BU proposal for its Math/Computer building on Comm Ave.
"Q:.....As Boston grows upward, should we worry about height and shadows? A: It’s not that tall buildings are good or bad. What’s important is the relationship of tall buildings with what’s around them. So no, we don’t need to fight over height. What we need to fight over is the coherence, the drama, the excitement, the juxtaposition of things in the city. Q: You write about a component of the Hancock tower project that was never realized, which still bothers you decades later. A: I still feel enormous sadness, regret, and anger about the fact that the planned conversion of the Clarendon Building across the street never happened. You must understand that a tall building in a city is in intense conversation with the things around it; it’s a combined work. That’s the key. The buildings and landscape are put together in a way that each component seems to become more interesting because of the presence of the other, rather than one wiping out the other......"
What was the planned conversion of the Clarendon building across the street? I can think of three sites that fit that description. Edit: Nevermind. Read the article. Last edited by meddlepal; 10-15-2018 at 09:11 PM. I cant read the article can you sum it up? I just wanted to know what the planned conversion was, I found it. Anyways that link I shared was a good read also. While reading that Globe piece, this quote immediately stuck out to me, and its actually what my last post in the 1 Dalton thread was about. He hit the nail on the head. It was really cool to see the things that I was noticing, he did on purpose and it speaks to how connected he is to the city. He was able to keep with the high spine and really expand upon it. 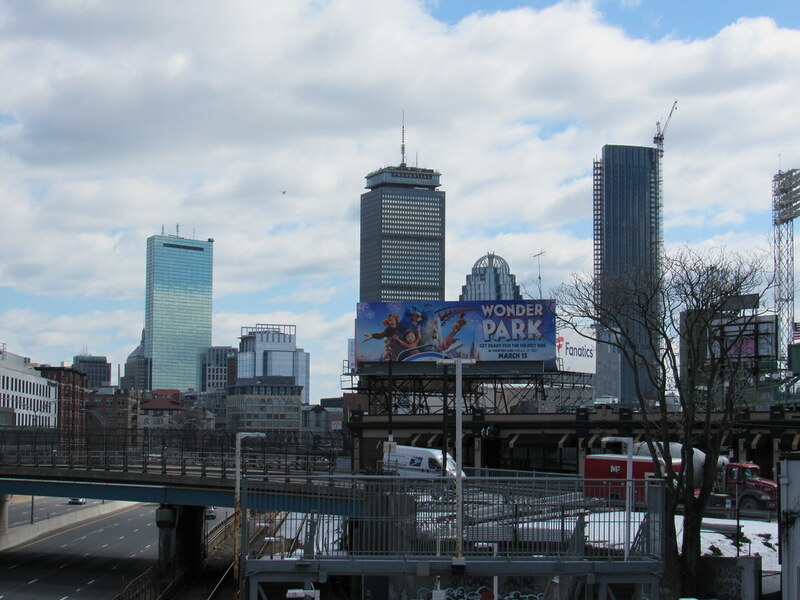 Although the near perfect symmetry our twin pillars had from all angles before has been changed forever, Im glad to see a new symmetry established from the most prominent angles with the 3 towers appearing to be evenly spaced and equal height to create the new tri pillars of back bay. Happy to see it keep the high spine in tact from this angle forming a straight line pointing downtown, while extending the skyline west. Now we just need the back bay garage towers, 1000 boylston, pike parcels, 40 trinity, and transferred copley tower air rights to fill it in. Last edited by stick n move; 03-31-2019 at 04:25 PM.